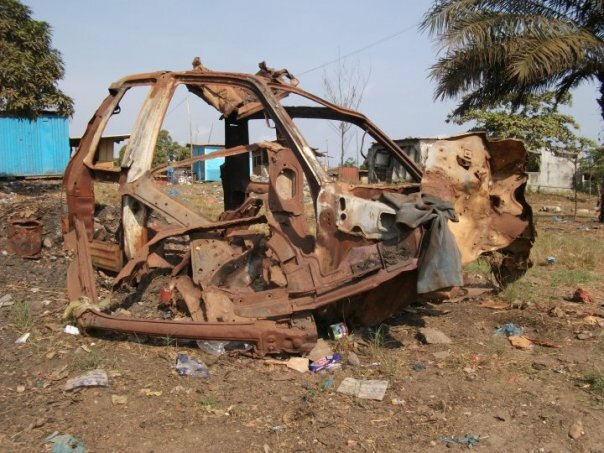 What is the Liberia Peacebuilder Initiative? Global Citizen Journey (GCJ) is partnering with Population Caring Organization (PCO) and other local organizations in Liberia to launch the Liberia Peacebuilder Initiative (LPI). We convened a series of trainings where for Peacebuilders to engage in learning, network, sharing of stories and envisioning a future that works for all Liberians. 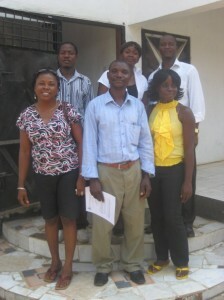 In our ‘pre-trip’ visit in January, 2010, we began building a network of support. With the help of a number of NGOs we will select key participants who have had previous training and experience in facilitation, conflict resolution and mediation so they can more readily integrate what we offer. We seek participants who are involved with existing networks to leverage the learning and spread the experience more widely. Plus the participants need to have deep roots in their local community, to build this network from the grassroots. This approach develops what leading Peacebuilder John Paul Lederach refers to as a “middle-range approach to peacebuilding” — working with a set of leaders who can provide the key to creating an infrastructure for sustaining peace. We will carefully constitute these teams to insure they reflect the diversity of Liberia: 16 ethnic groups, men and women, range of ages, religious affiliations, location, rural and urban, former combatants, and former refugees. We will incorporate traditional practices to promote healing and reconciliation. There will be Post Summit follow-up and support so trained Peacebuilder Teams can bring what they have learned to their communities. 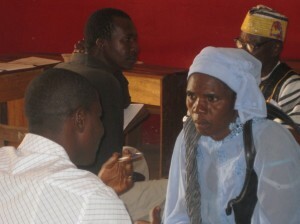 Why launch the Liberian Peacebuilder Initiative? What will happen at the Summits? Cultural and Evening Activities*: Traditional cultural sharing at the opening, closing ceremony and nightly with music, storytelling, dancing, and other activities that have traditionally brought people together. Post-Summit Activities: Each Peacebuilder Team (traditional, youth and woman leader from the various ethnic groups) will implement an action plan for creating small community meetings* and Town Meetings in their home community. Offer training, practices and exercises in Compassionate Listening and conflict resolution. Show the videotaped stories from the Restorative Justice Circle in those communities having access to electricity. Establish agreements for continuing to meet within the local community. The Liberian Peacebuilder Initiative is being launched by GCJ in partnership with Population Caring Organization, founded by Emmanuel Dolo, at the Budumbura Refugee Camp for Liberians in Ghana, just outside of Accra. From 2003 to 2008, PCO established community Peace Cells (dialogue circle gatherings) in the refugee camp reaching hundreds of community members and helping to resolve the many cases of conflict that arise in an overcrowded and traumatized population. These discussion groups focused on domestic violence; community conflict; national and ethnic violence; misunderstandings and hatred; and how to build capacity for reconciliation – including strategies for ex-combatants and child soldiers. In December 2005, PCO brought together elders and traditional leaders from the 16 ethnic groups in a reconciliation ceremony that marked 15 months of intense peace-building dialogue in the Liberian Tribal Leaders’ Reconciliation Forum (LTLRF). They are eager to integrate these practices and many of their re-patriated colleagues and elders back in Liberia. Emmanuel believes it is essential for outsiders to come and work with him and others to build true peace –at the grassroots level, i.e. from the bottom up rather than governmental declarations. The peace is fragile because Liberia does not have its own security force – and thus depends upon the UN. It is difficult to develop its own security force when there is so little trust among the various ethnic groups. Read the latest update from PCO – December 2009 through May 2010 report. Why launch the Liberia Peacebuilder Initiative? Delegate Dennis Gaither’s GCJ Kashmir 2018 Updates!